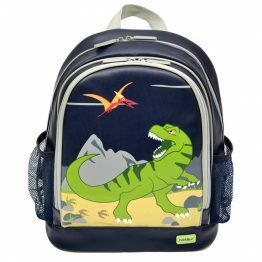 Tags: bobble-art, bobble-art-dinosaur, dinosaur, wheelie-bag. NEW 2017 DESIGN NOW IN STOCK! 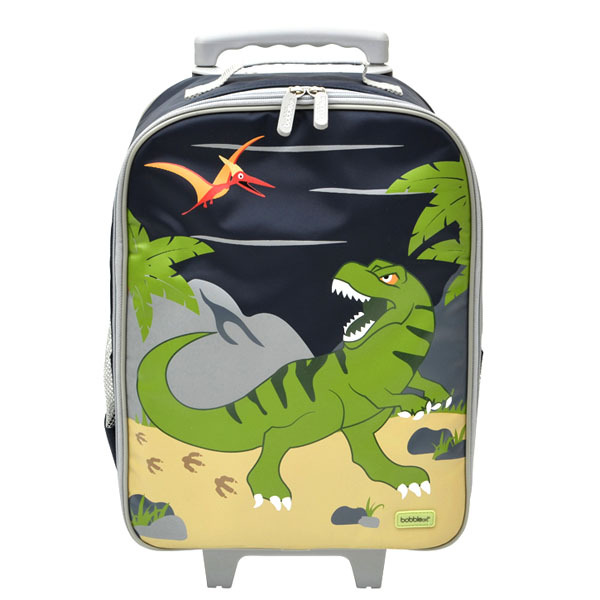 Get ready for holidays or weekends away with this trolley / wheelie bag by Bobble Art in the popular updated Dinosaur design. This kids suitcase completely unzips so you can easily access items, it has an extendable handle and is the perfect size for stowing in overhead lockers when travelling. The inside of the bag is fully lined, and features 1 internal mesh pocket, and 3 smaller pockets to help organise all those ‘travel essentials’. There is also a small clear PVC pocket with namecard. 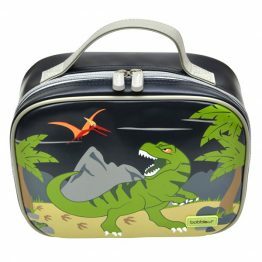 This is an excellent quality Bobble Art kids suitcase and is finished in a durable nylon so the outside of the case can be easily wiped clean. 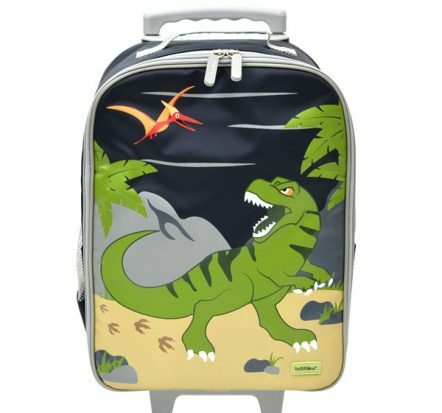 This is the perfect wheelie bag for any little traveller !